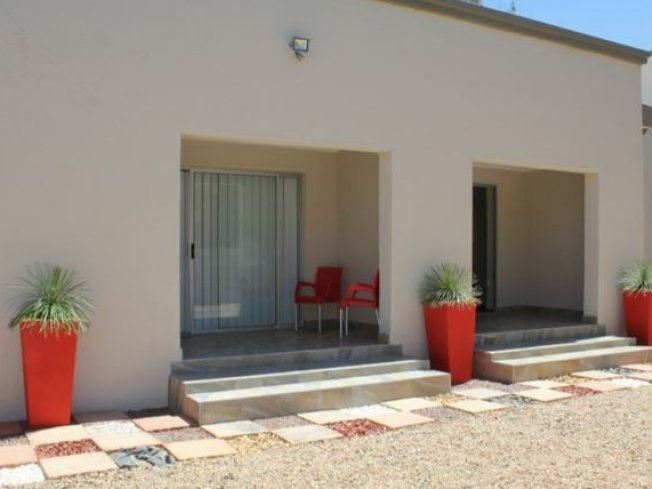 Just B Guest House is a warm and welcoming private guest house located in the Kalahari town of Upington. 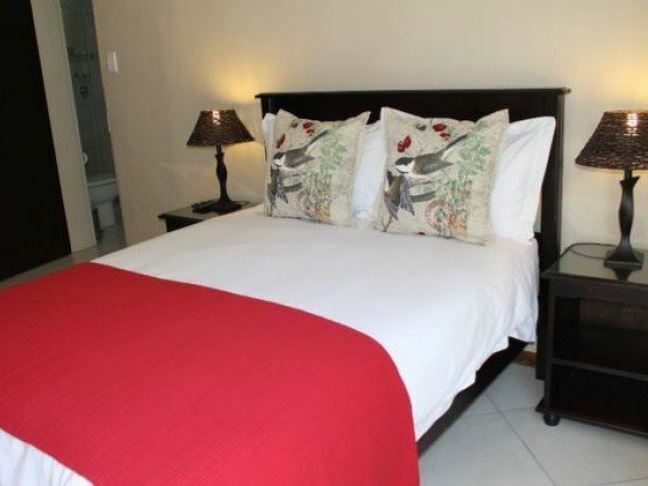 Just B Guest House is an ideal stop over location on your way to Namibia, Namaqualand or the Kgalagadi National Park for big or small groups. This beautiful guest house is set in a quiet neighborhood and offers warm hospitality, luxurious comfort, and professional services. 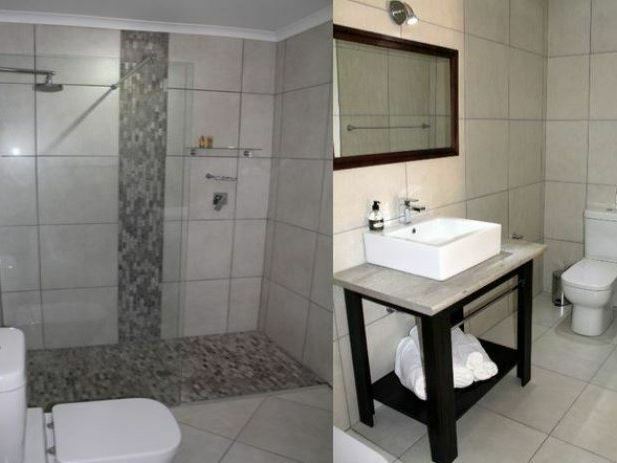 The guest house is within walking distance from Upington Medi-Clinic, Duineveld High School, and the Kalahari Mall, and is approximately 3 km from the CBD.Stay in one of our four double or one single en-suite rooms. All rooms include air-conditioning, DStv, Wi-Fi, a microwave and a stove, a fridge, a kettle and cutlery. Each room has its own private entrance. 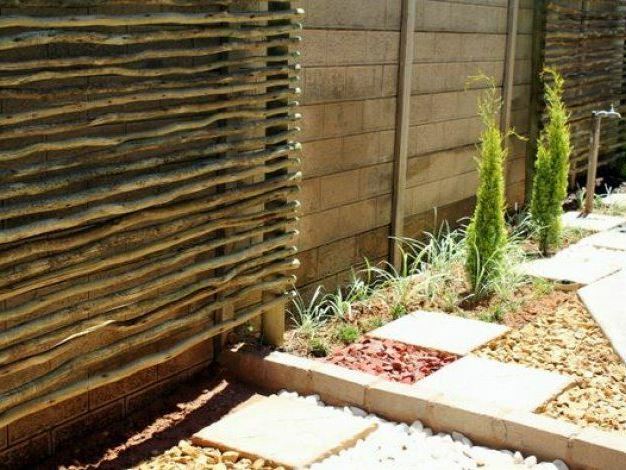 Secure on-site parking with a remote gate is also available for your peace of mind. 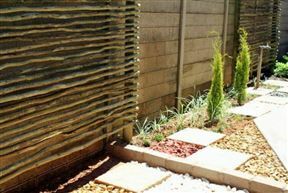 This unit has its own private entrance and safe en-site parking. 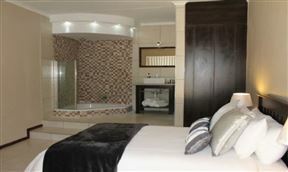 This room includes en-suite bathroom, air-conditioning, DStv, Wi-Fi, microwave, fridge, kettle and cutlery. 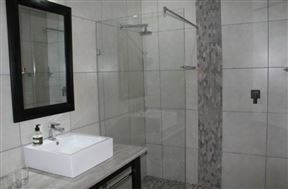 An open bathroom suite with beautiful bath and shower. 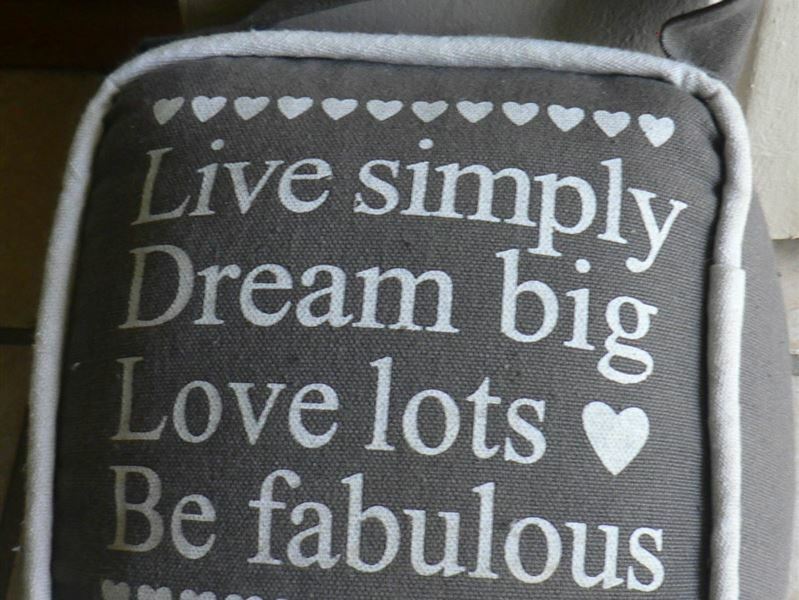 Ideal for young married couples and romantic people. 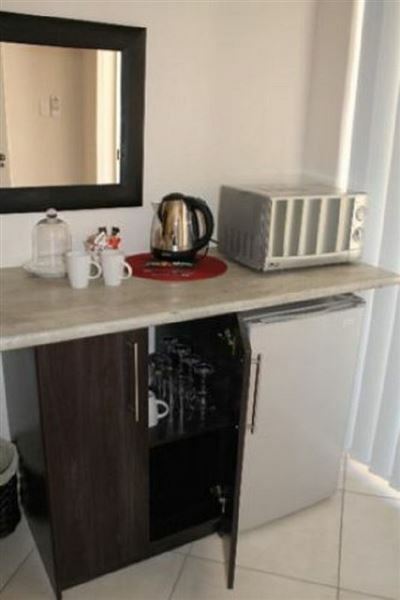 Includes air-conditioning, DStv, microwave, fridge, kettle and cutlery. 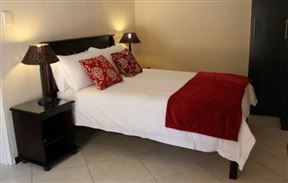 The room has its own private entrance and safe onsite parking. 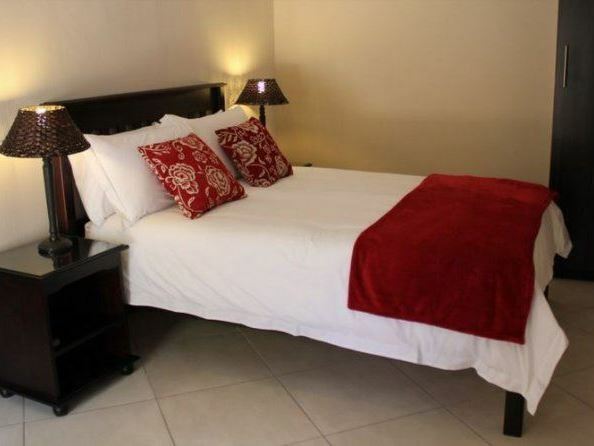 Beautiful clean room for single persons includes air-conditioning, DStv, micro-wave, fridge, kettle and cutlery. 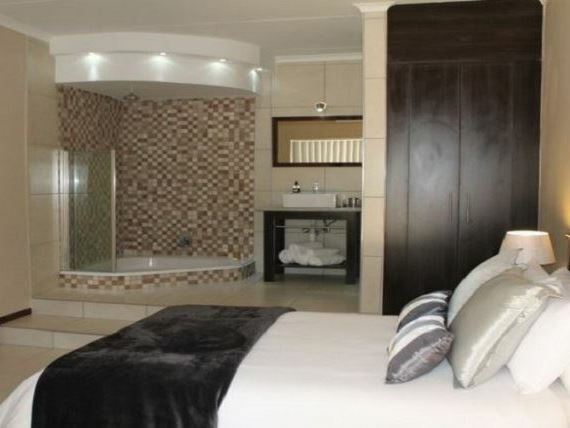 Very nice room for single person with its own en-suite bathroom. 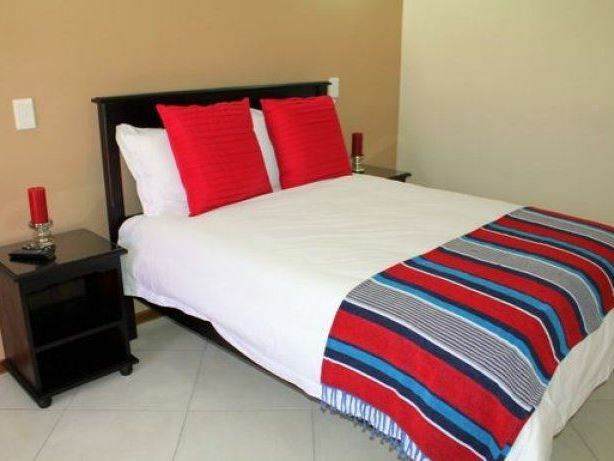 Beautiful clean room with 1 x Queen size beds or King size bed includes an en-site bathroom with air-conditioning, DStv, microwave, fridge, kettle and cutlery. 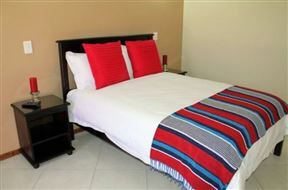 The room has its own private entrance and safe onsite parking. Ideal for couples with kids. 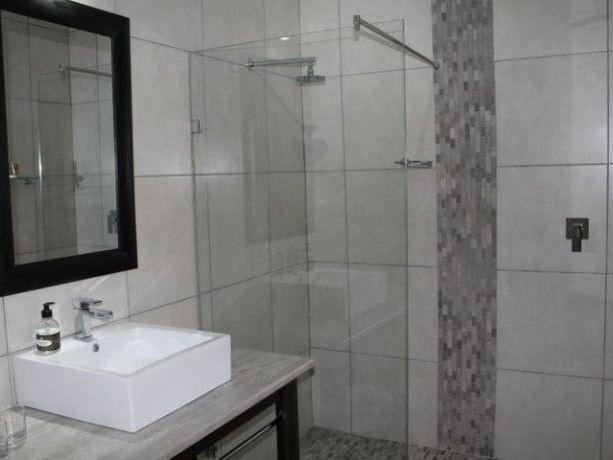 Two bedrooms sharing a bathroom. (one room with 2x single beds and in an other room, double bed). 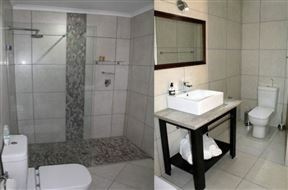 Includes air-conditioning, DStv, microwave, fridge, kettle & cutlery. This room has its own private entrance and onsite parking. En-site bathrooms for each room. 2x Double beds rooms and 1x room with 2x single beds. 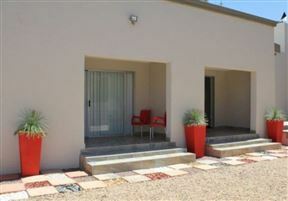 Own kitchen, braai room and living room. 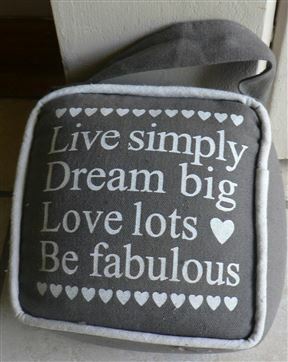 Very nice for a family or friends likes to stay together. Water cooler, microwave, kettle and cutlery.